I can tell you, and my wife can back me up on this, I love being ready for anything. If we are taking a road trip I have a list of items that must be in my Nissan Xterra at all times just in case. I never want to be in a situation that I can’t get out of, but having certain things with me helps keep me grounded and allows me to relax more and enjoy myself. Snacks that have long expiration dates, like beef jerky and canned potato sticks. Being able to see while driving is an important item on my list of safety concerns, and I recently had a chance to try some wiper blades from Rain-X that I was able to find in the Walmart Auto section. I have used some of the other Rain-X products before for car care, and I have always been happy with the results, so how did the wiper blades fare? I think they did a pretty good job. I will have to admit that I don’t have the best of luck when trying to replace wiper blades, I always seem to have the break apart, or I am afraid that I am going to break the wiper arm, and I really don’t want that to happen. So I had my dealer where I bought my Xterra from put them on for me, and it only took them like 3 minutes! I got the Expert Fit Beam Blades that have a curved blade to provide a smooth wipe, and after I pulled out of the dealership, I gave them a try. I was astonished to see it wipe away debris and smudges on my windshield, that the factory installed blades didn’t. The wiper blades seemed to hug to the windshield more and allowed that smooth motion to get the job done. My overall impression is a good one. I truly think they are better than stock blades that you would get at your dealership, and possibly even some of the generic brands out there. I figured my Xterra would be on the list, but they have blades that fit 95% of the vehicles out there in the Expert Fit Range. So I am pretty sure anyone who reads this will have a vehicle that they can get these for, and obviously you can get those in the Auto Section of Walmart. 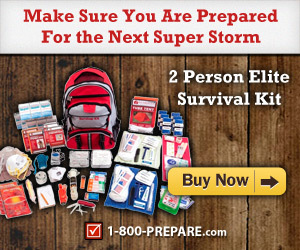 Being prepared could save lives. When you’re going on a road trip you need a car survival kit you’ll never know when something is going to go wrong, so put a spare tire in your survival kit: Brake fluid, oil, car jack, cables, water, food, phone battery charger, blankets, etc. all the things you would need to get your car back up and running in case of an emergency. And the thing you would need to survive.